How could MacBook Air improve in 2019? After years of waiting, the new MacBook Air finally released in October 2018. And, with it, Apple made some changes to the MacBook Air lineup, like an awesome new fingerprint sensor, but we think more could have been done to bring the popular laptop into the modern age. And, that’s why we can’t wait to see what Apple does with the MacBook Air 2019 – if a MacBook Air 2019 does indeed come out. We’re not sure what Apple is planning for 2019, which is not out of the ordinary, so we’re not sure a MacBook Air 2019 will even happen. However, we do know that Apple is planning to revolutionize at least one Mac, in the Mac Pro, so we can make some educated guesses about when we might see a new MacBook Air, and create a wishlist of what we want to see. Don’t worry, we’ll keep this page updated with all the latest MacBook Air 2019 rumors and leaks, so be sure to keep it bookmarked. Trying to predict the next MacBook Air release date is going to be tricky, thanks in large part to the strange history Apple’s had with the mainstream laptop lineup. Ever since Apple redesigned the MacBook Air in July 2011, a new MacBook Air came out within the same April-to-July timeline. At least, until 2015. After that, Apple skipped 2016 altogether, waiting to release a simple refresh of the MacBook Air with the same 5th-generation processor and a faster SSD in June 2017. 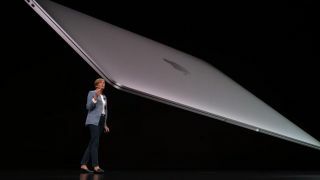 Then, Apple released the new MacBook Air in November 2018, with a redesigned chassis and updated internals. Now, we don’t think a MacBook Air refresh will come out this summer – that’s far too soon. Instead, if a new MacBook Air does come out this year, we’d bet on a November launch. We probably won’t see it until 2020 at the earliest, though. The MacBook Air has always been the cheapest way to get macOS running on a laptop. And, while that’s still true, Apple raised the price from $999 (£949, AU$1,499) to $1,199 (£1,199, AU$1,849) with the MacBook Air 2018. We believe Apple will keep the price the same with the next MacBook Air, barring another complete redesign – in which case the price would more than likely just go up. We don’t think we’ll see a lower price, unless Apple launches a MacBook Air with an ARM processor. Of course, that’s more likely for a 2020 release at the earliest. The MacBook Air 2018 did a lot to bring it to the modern age, with 8th-generation Amber Lake fanless processors, modern SSDs and a Retina display. However, it wasn’t quite as revolutionary as many were hoping it’d be – there’s a lot of room for improvement. So, here’s what we want to see in the MacBook Air 2019. The processor in the MacBook Air 2018 isn’t the worst thing in the world but, because it’s a fanless dual-core chip, it lags behind other laptops. Now, usually in a thin and light notebook, this approach would make sense. But, at its thickest point, the MacBook Air is actually thicker (just barely) than the 2018 MacBook Pro. So, we’d like to see Apple shove some full-fat, Ultrabook-class processors in the MacBook Air, and maybe design a fresh cooling solution. Who knows, maybe once Intel’s Ice Lake hits the market, we’ll see some Ultrabook-class processors that don’t produce so much heat. Another year, another MacBook, another keyboard. Look, we get it Apple, you want to make your MacBooks as thin and light as possible – ultraportable is in. But, the Butterfly keyboard has produced more issues than Apple’s traditional keyboards. The third-generation Butterfly keyboard placed a rubber film below the keyboard that was supposed to stop it from malfunctioning. But, the MacBook Air is running into its own problems, with key presses repeating. We’re not sure how Apple can fix this problem without designing a whole new keyboard, but we’ve seen a patent that suggests it’s doing just that. We might see a touchscreen MacBook keyboard with raised, tactile keys. This might be Apple’s answer to its keyboard problem. We get that larger SSDs are going to command a price premium, but the cost of upgrading is a little bit inflated. The base MacBook Air comes with a paltry 128GB SSD, which might be fine for people with cloud storage and not a lot of app use. . However, to upgrade to 256GB of SSD storage you’re looking at a $200 (£200, AU$300) price jump. That’s huge by itself, but if you want a 1.5TB SSD, you’re looking at a whopping $1,200 (£1,200, AU$1,800) price jump. For that price, you could literally buy a second MacBook Air. Apple’s SSDs are admittedly some of the fastest in the business, but there’s no way a 1.5TB SSD costs that much. The SSD upgrades for the MacBook Air 2019 need to be cheaper.